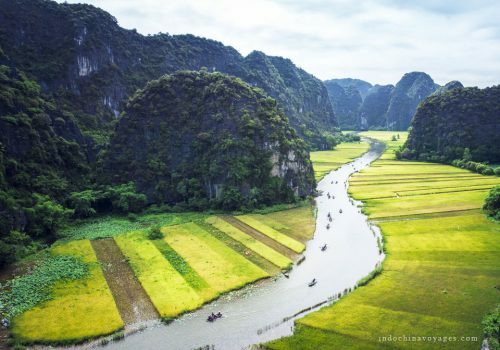 Located in Southeast Asia, Vietnam is a beautiful country with more than four thousands years of history, various culture and wonderful landscapes. Discovering the beauty of the country with friendly people and culture should be done once in one’s lifetime. It is also the land of smiles, warm opened arms, where people intend to do whatever they can to give you the most wonderful time of your life, no matter who you are, where you are from or what religions you are. Halong Bay Jasmine cruise is aslo one of those beautiful places with amazing landscapes, friendly people and delicious cuisines. Let’s find out more about it in the following introduction. I hope that you will have wonderful perspective and new look about it.“Halong” translated as “descending dragon”, is located in the northern of Viet Nam. It is nearly 170 km from Hanoi and takes you for over 3 hours by car. Halong Bay is not only one of the most outstanding destinations in Vietnam but also the rest of Asia. As one of the amazing natural wonder of Asia, the beauty of the Bay and its 3000 islands is so wonderful that a tourist should consider as an unforgettable part of any visit to the Northern region of Vietnam. 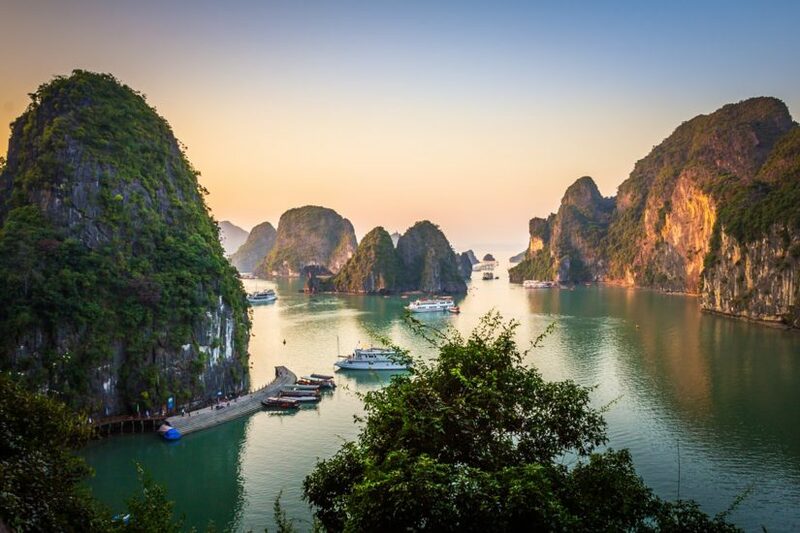 As the beauty and the meaning of its name-“Descending Dragons Bay”, Halong Bay is the best choice and the ideal destination for tourists to discover especially in summer. 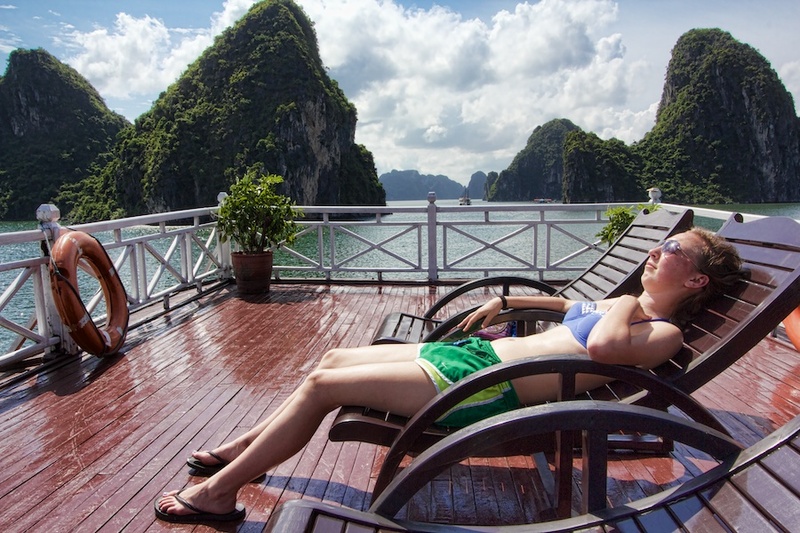 The weather in the summer is a factor to attract guests coming to Halong Bay. The temperature is around 29oC-30oC. The climate is sometimes quite high but due to the wind from the sea, it’s still not uncomfortable as other regions in the North of Vietnam. The water is cool, clean and clear. Swimming is always the best choice here. Be prepared with a towel and swimwear and enjoy the clear atmosphere. On most boats, it is necessary for you if you bring your own beverages. But you can try some cocktails or some drinks which are served by the top chefs. I bet that you will be not disappointed in this. Sunbathing under the sunlight on the boats or doing Yoga in the late afternoon is also an ideal choice for you. The cuisine in Halong Bay is a thing you cannot miss. 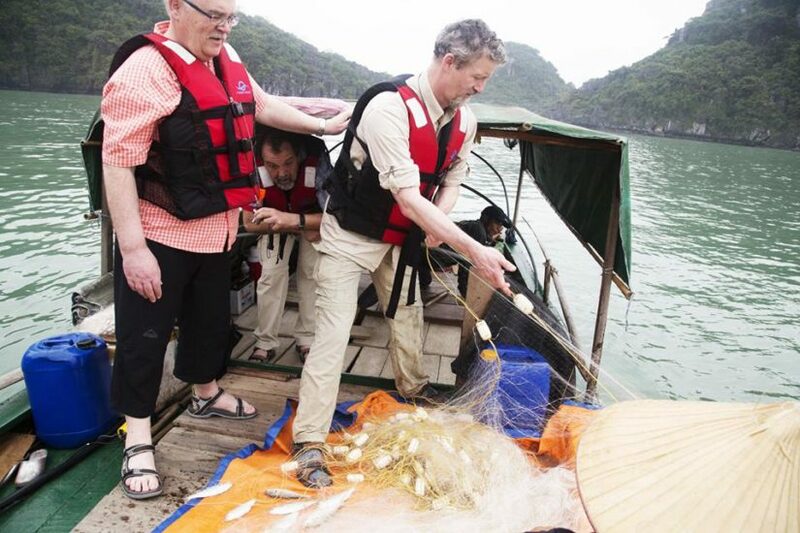 Halong bay is rich in seafood with tons of fish, shrimps…. Coming right out of fishing boats in the early hours of the morning, the foods are served in the most of the restaurant. That’s why there are many good restaurants being the best choice for tourist when coming not only in Halong Bay but also around Halong Town. Besides, if you want to experience the life of the fish farmer, you can book a fishing tour. In the fishing trip, you will be transferred to a local fishing boat, changed your clothes so that you can really look like local fisherman here, casting the fish net and catching some fish or octopus…. After that, you have chance to taste some dishes made from them. In the end of the busy day with a lot of activities, this is the time for relaxing. Let’s enjoy the evening time here. It can be a romantic idea to just enjoy by having a romantic dinner with candles and flowers, enjoy some wines and look at stars in the sky. 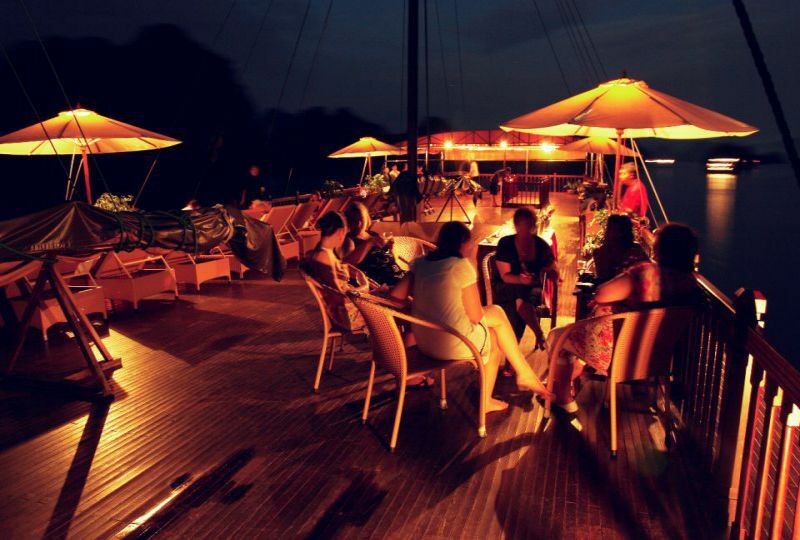 After that, let’s take part in some music parties on the boats and of course you can dance. 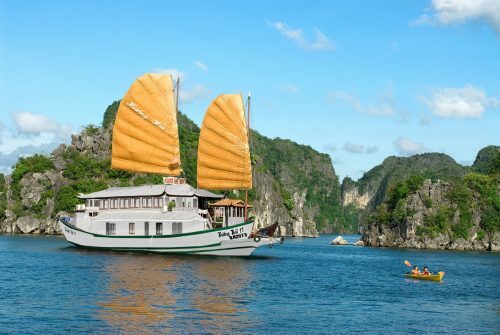 This is the best way to make unforgettable memories in Halong Bay. Some things above is not all and you can’t totally imagine about Halong’s charm. But I believe that it is enough to make you ready for the next trip to discover everything around here: the weather, cuisine, people and the living style. Moreover, I hope that you’re getting as closely as possible to Vietnam and understand more about the people here. Welcome!